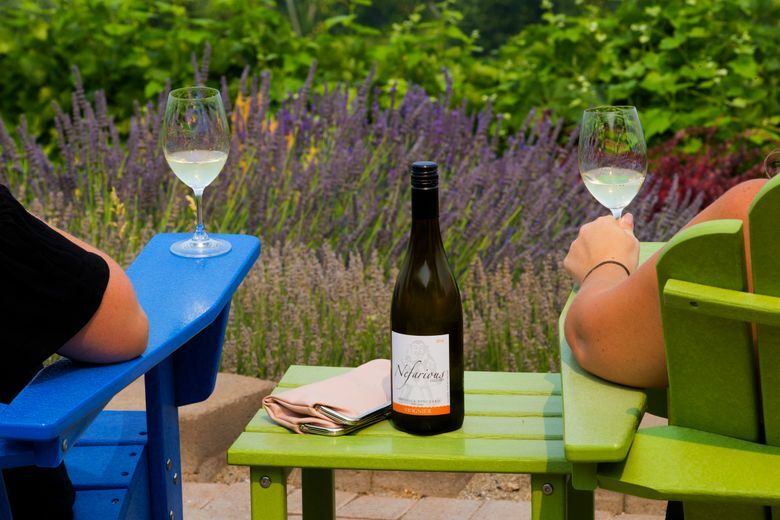 As summer tourists depart and the harsh sun softens, enjoy wineries, walks and lake-country scenery on the far side of the Cascades. 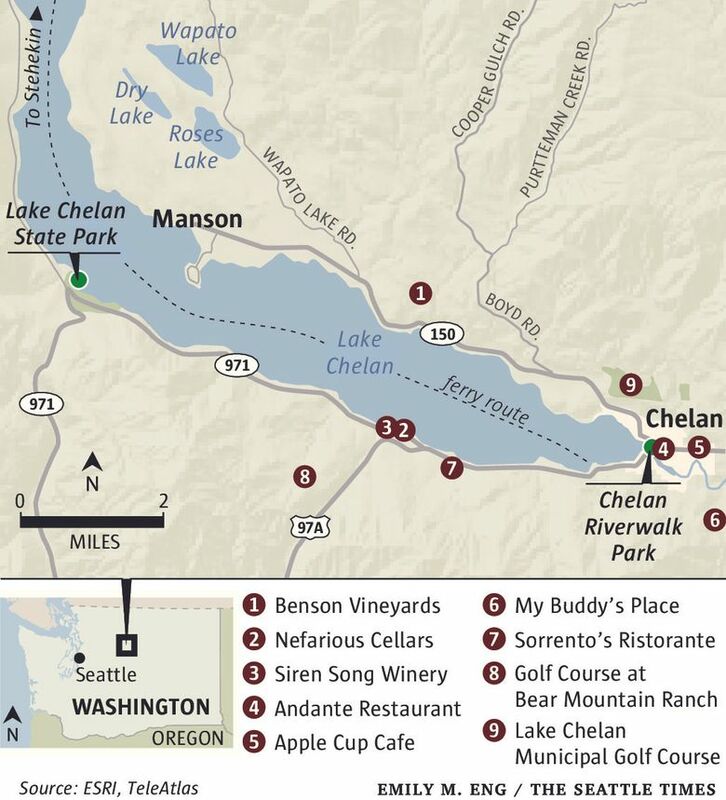 CHELAN — Head for Lake Chelan in August and summer roars with happy crowds, full hotels and simmering heat. Head there a few weeks into September and the days are still sunny, but the temperatures cooler. And with fewer tourists, the pace is much slower as autumn arrives in the Lake Chelan Valley. The magnetic draw of the area’s centerpiece, glacier-fed Lake Chelan, lessens as its water temperature chills. From Western Washington, Lake Chelan is reached via Alternate Highway 97, connecting with Highway 97 over Blewett Pass (from Interstate 90) or Highway 2 over Stevens Pass. Allow 3½ hours driving from Seattle. Autumn weekends are filled with events and festivals. • The 2017 Lake Chelan Crush Festival is Oct. 7-8 and 14-15, with open houses, dances, dinners and more at area wineries. • Fall Barrel Tasting is Nov. 24-26. 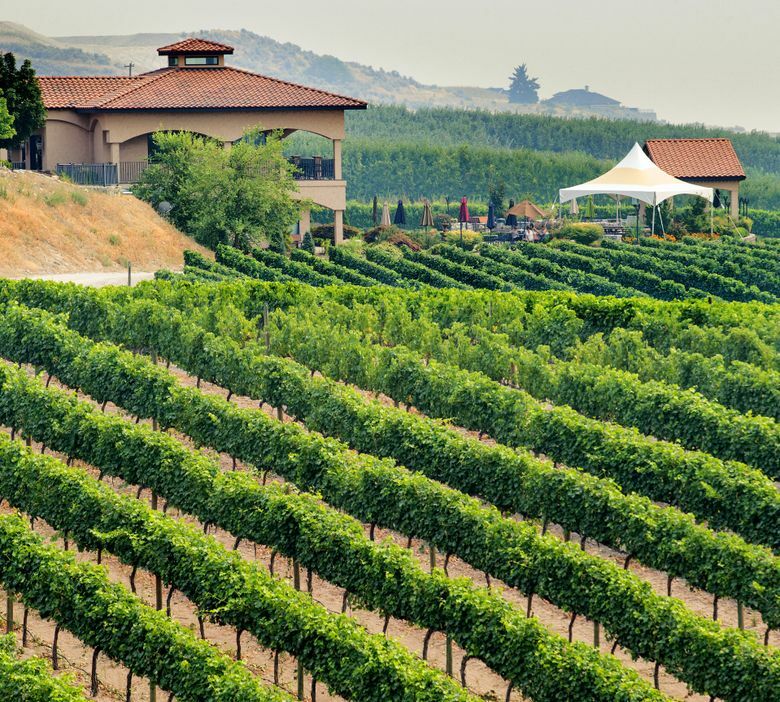 Pick up the free Visitor’s Guide at the Chelan Chamber of Commerce and Visitor Information Center, 216 E. Woodin Ave.
One trip isn’t enough time to visit the area’s more than 30 wineries and tasting rooms in Chelan and Manson. The good news is that because they are clustered in a rather compact area at the foot of the lake you can easily reach many without traveling very far. 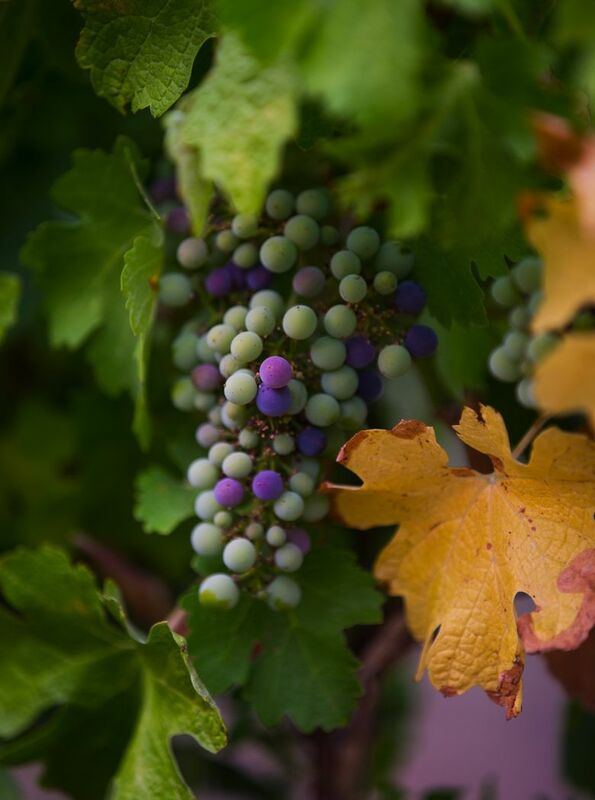 Even with more limited hours in the fall, tasting rooms are open. • Siren Song Vineyard Estate and Winery (635 S. Lakeshore Road, sirensongwines.com), and nearby Nefarious Cellars (495 S. Lakeshore Road, NefariousCellars.com), both on the lake’s south shore. 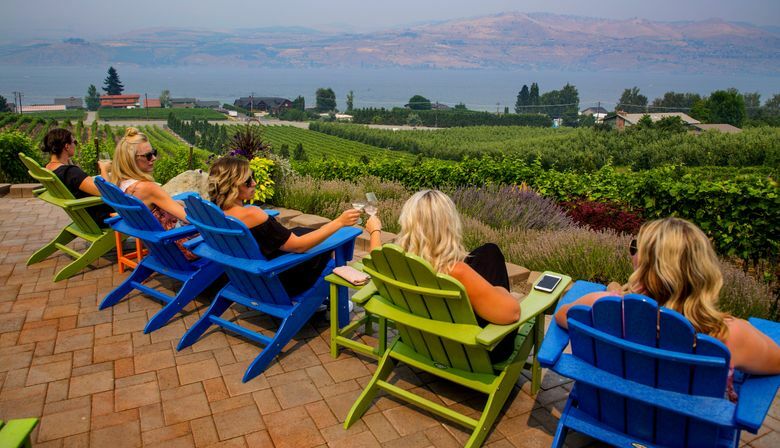 • On the north shore, sip and savor the view at Benson Vineyards Estate Winery (754 Winesap Ave., Manson, BensonVineyards.com). Hours vary between wineries. If you’re not into wine, you’ve got two breweries and five producers of adult-type ciders to choose from as well. It’s easy to sample both in Manson because the Rootwood Cider Company (45 Wapato Way, rootwoodcider.com) is just across the street from the Lake Chelan Brewing Co. (50 Wapato Way, lakechelanmicrobrewery.com). One of the most popular walks bisects 12-acre Chelan Riverwalk Park, 117 E. Wapato Ave. The park’s mile-long path loops between the town’s two bridges at water’s edge. It’s an easy, level walk with plenty of benches and picnic tables along the way. For a bit more strenuous route, we head to the Public Utility District’s Reach 1 Trail, just southeast of Riverwalk Park. The trail begins at the Riverwalk Park Boat Launch, 506 S. Emerson St. The 3-mile round-trip undulating route alternates between pavement and compacted gravel. The viewpoints — with interpretive signs about the area’s wildlife, geology and Native American history — are worth a stop. For information: ChelanPUD.org/parks-and-recreation. If you can ride a bike and are 16 or older, check out the group bike tours offered by Chelan Electric Bikes (204 E. Wapato Ave., chelanelectricbikes.com). 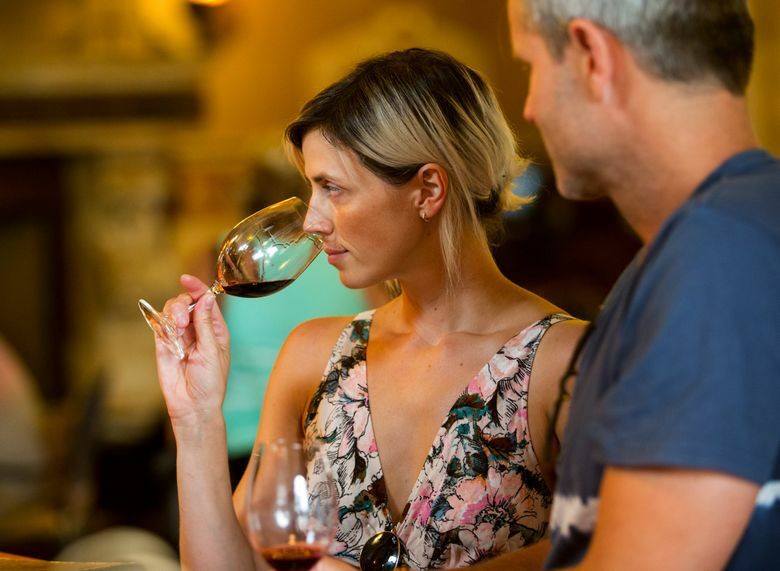 They offer three set tours: vineyards and wineries, twilight or back roads. With a group of eight you can customize your own outing. September’s pleasant, sunny days mean tee times fill fast at the town’s two 18-hole golf courses. Book early at the Golf Course at Bear Mountain Ranch (1050 Bear Mountain Ranch Road, bearmtgolf.com), located on the hillside above the lake’s south shore, or at the city-owned Lake Chelan Golf Course (1501 Golf Course Drive, cityofchelan.us/golf-course), on a bluff on the lake’s north side. 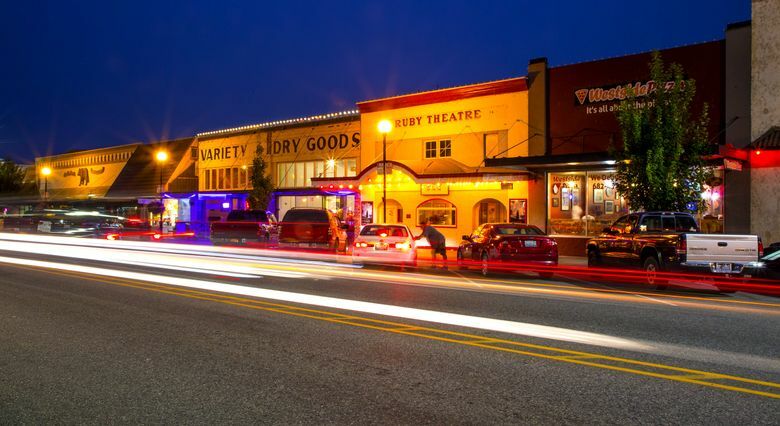 Chelan’s historic downtown, clustered around the town’s main drag, Woodin Avenue (named after an early day settler who set up a sawmill at the foot of the lake), is filled with independently-owned stores offering a variety of items from clothes to books, health foods to home décor. One of the newest on the scene is Frenchie’s Flutes & Fleurs (107 E Woodin Ave., 509-888-2602). 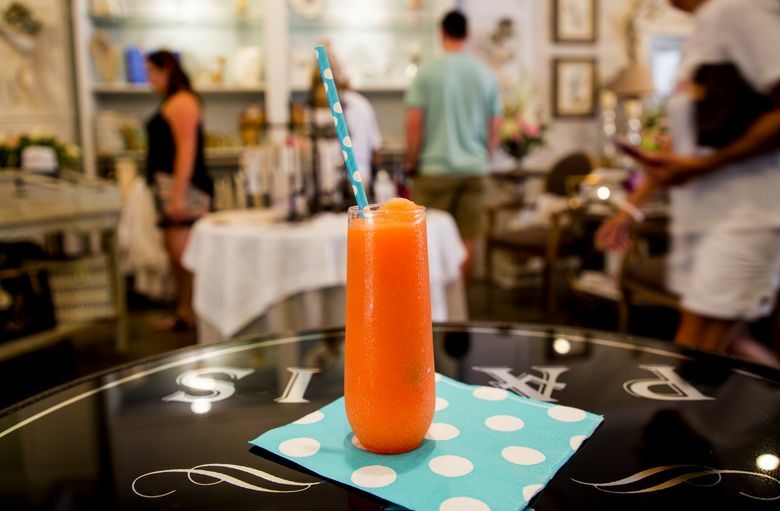 Sip a frozen Bellini (a peachy sparkling-wine cocktail, $8) while browsing their home décor and clothing items or relax at one of their sidewalk tables. For a taste of old Chelan check out Kelly’s Ace Hardware (128 Woodin Ave., 509-682-2815). A “go-to” favorite for more than 50 years, its shelves are chockablock with hardware, home supplies and sporting goods. You don’t really need a special occasion to enjoy the candlelight and white-tablecloth ambience at Andante Restaurant, housed in the old post office at 113 S. Emerson St. (andantechelan.com). 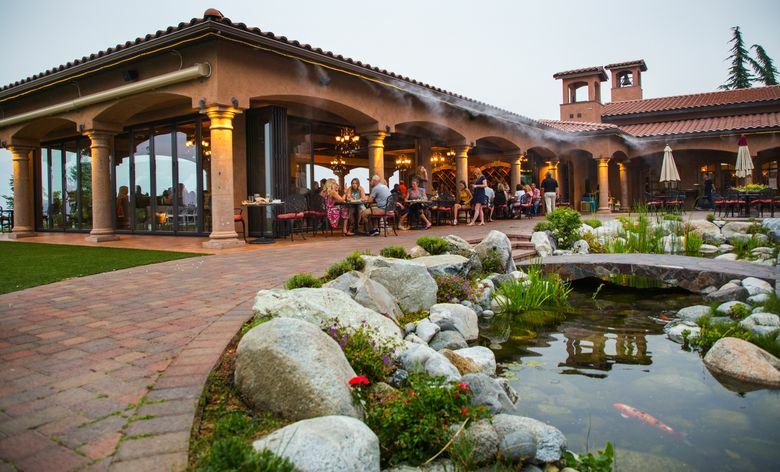 Or trySorrento’s Ristorante, at Tsillan Cellars, where you’ll also have sweeping views of vineyard and lake (3875 Highway 97A, tsillancellars.com). Casual dress is OK at both. 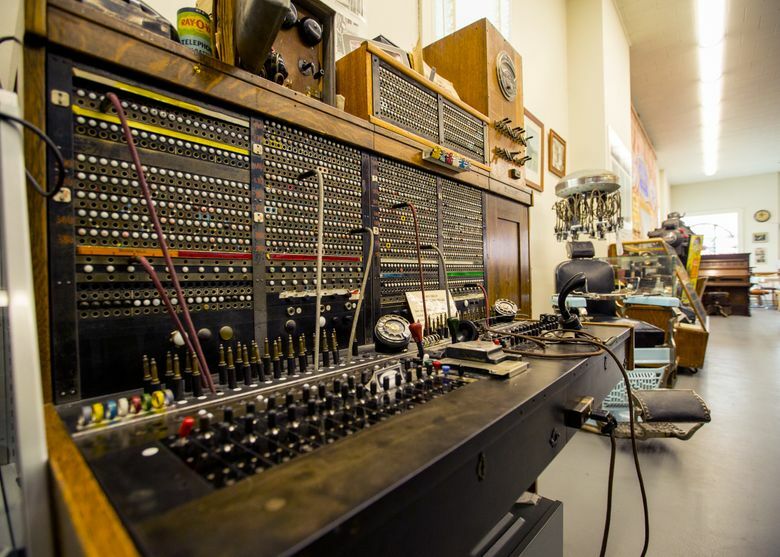 Start your trip back to the area’s early days at the Chelan Museum, housed in a former bank building at 204 E. Woodin Ave. 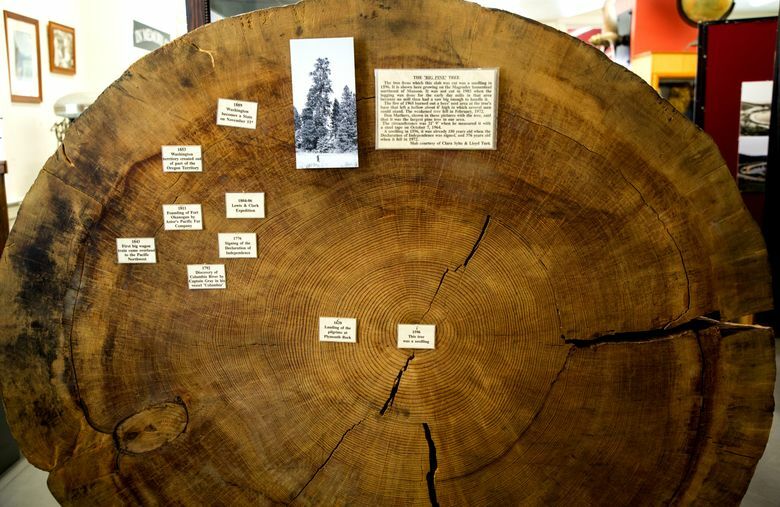 Displays include Native American, logging and mining artifacts (free admission, donations welcome; closed Sundays). Pick up a free copy of the Historic Tour guide (available a few doors down at the visitor’s center), then take a self-guided tour of the town’s historic buildings. Don’t miss the oldest structure in Chelan, St. Andrews Episcopal Church, 120 E. Woodin Ave. Constructed out of logs, its first service was held Christmas Eve 1898. Take in a movie at the Ruby Theatre (135 E. Woodin Ave., rubytheater.com), opened in 1914. Its restored interior will transport you back in time. While there are several hangouts worth a visit, there are two we never miss (my husband grew up here). The Apple Cup Café (804 E. Woodin Ave., applecupcafe.com) opened in 1957 and is named for a hydroplane race that took place on the lake in those days. Come hungry for breakfast, lunch and dinner. A favorite is their Chicken-fried Steak and Eggs breakfast — a breaded flat-iron steak, two eggs, country gravy, stack of hot cakes or hash browns, and toast, for $13.99. There are kid and senior menus available with fewer carbs and calories. The hamburgers served at My Buddy’s Place (77 Wapato Way, 509-687-3313) bring many people back. The small wooden structure in downtown Manson has 12 brews on tap, with pool tables and shuffleboard. We recommend sharing the Big “B” Burger, which comes with two quarter-pound patties, two slices of ham, two slices of cheese, grilled onions, lettuce, tomato and pickle, served with a secret sauce ($14.75). Don’t miss their “Freedom” Fries. Age 21 and older. 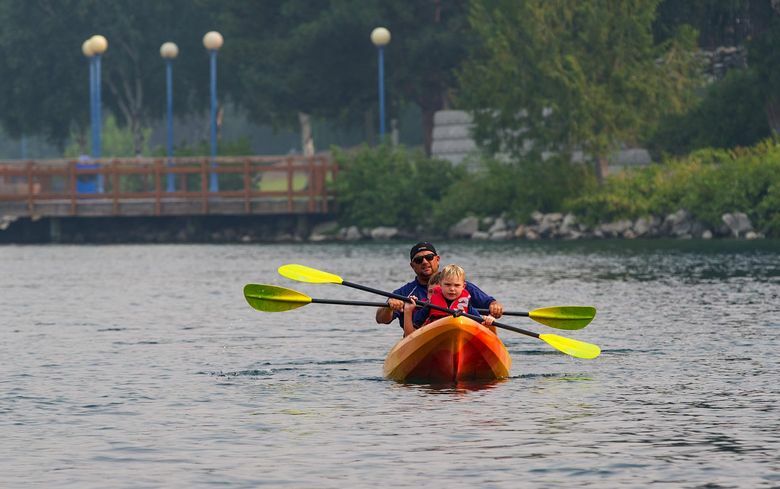 While it might be too chilly to be in the lake, there’s still plenty to do at the lake. Sandy beaches submerged during summer begin appearing as the lake’s water level starts receding in the fall. That means there are plenty of sandy beaches to be strolled and explored. 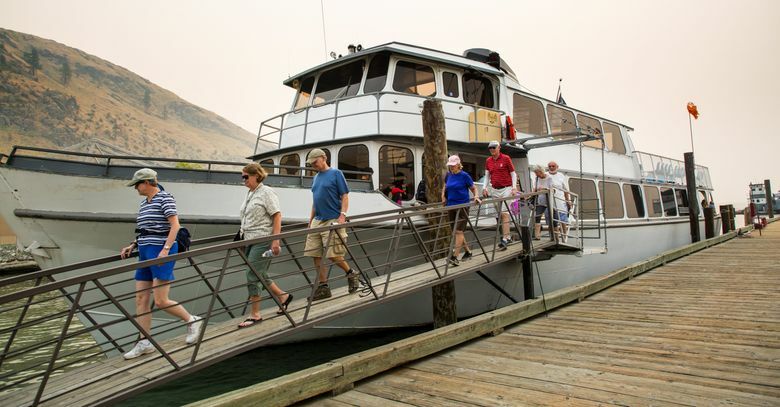 For more than a century there’s been boat service ferrying passengers between Chelan and Stehekin, the hamlet at the head of the lake that serves as a gateway to North Cascades National Park. The Lady of the Lake boat trip continues to be one of the top five activities recommended by travelers on TripAdvisor. Prepare to disconnect from the world because there’s no cell service beyond the midpoint of the trip. Daily runs through Oct. 15, with less-frequent sailings in winter (ladyofthelake.com, 888-682-4584). Autumn is one of the prettiest times to explore — by car or bike — the paved back roads that loop through the agricultural area between Chelan and Manson. The vineyards and apple and cherry orchards will be alive with harvest activities. There’s a map of Manson’s Scenic Route in the area’s Visitor’s Guide, but it’s also fun and easy to set out without a map. Don’t miss three of the area’s lesser-known but beautiful lakes: Wapato, Roses and Dry. They are in a cluster less than 3 miles beyond Manson. Kirkland-based freelance writer Jackie Smith blogs at travelnwrite.com.